GB Antiques and Furniture Centre really is a family run business. Set up by Allan Blackburn and his wife, Gloria, their daughter Dawn manages the office, while son, Jimmy looks after all the beautiful furniture in the centre. At age 15 Jimmy worked part time at GB Antiques and soon realised he was very interested and naturally enthusiastic about old furniture. Any spare time he had he would use looking for old pieces of furniture to sell. During the next 20 years, what first started out as a hobby in his spare time, became his livelihood. He started going round car boots and jumble sales before progressing to the auctions rooms. He has now stopped looking for that elusive amazing bargain and now concentrates on finding a more established, expensive, rare and collectable piece. Jimmy says "I always enjoyed learning about social history at school and ‘How we used to live’. Our pieces of furniture tell a story, about what sort of families owned the different pieces. The size of the piece and its condition and date, paints a picture of a lifestyle and is part of our history and heritage. I am always amazed how in this day and age the pieces still fit into homes. Old pieces can look perfect in even the most modern of homes." Jimmy also knows what trade buyers are looking for. The trends at the moment are for lighter pieces of furniture. It's a seasonal trend too. In the winter he sells lots of sofa's, tables and chairs, whilst the summer months see more garden furniture and bedroom furniture being sold. Plus, there's always a huge influx of visitors over the Christmas period! 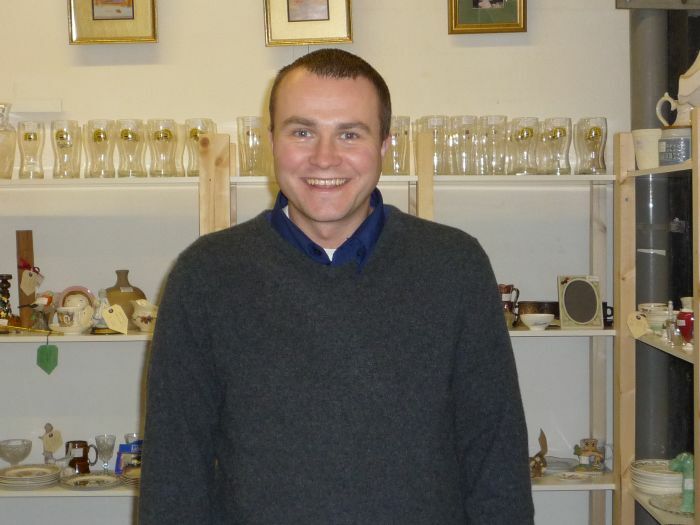 GB Antiques and Furniture Centre have individual pieces and styles of furniture to suit individual people. There's everything from old oak dressers and kitchen dining sets to small pine bedside cabinets and coffee tables. Jimmy finishes by saying “Buying good quality second hand pieces of furniture is an investment. They will hold their price (at least) or go up in value. My advice is to buy the best you can afford”. Jimmy or a member of his expert staff are on hand at the centre everyday, so you can ask them for advice on the age of a piece and its value.